Tattoos are everywhere these days. The times when only criminals, sailors or soldiers used to get inked are long gone. 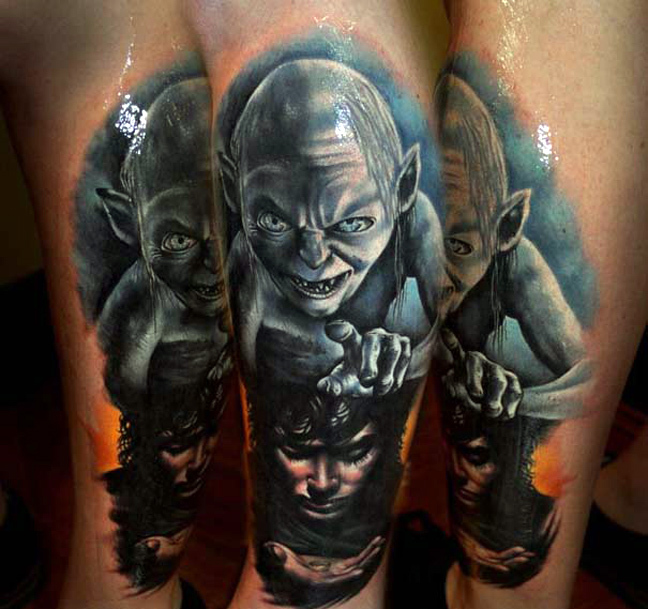 Tattooing has become a worldwide trend and we can see that tattoos come in great variety of shapes and forms. Sometimes they make you look like a real badass and in other cases your tatts are so cringeworthy that you will regret them for the rest of your life. 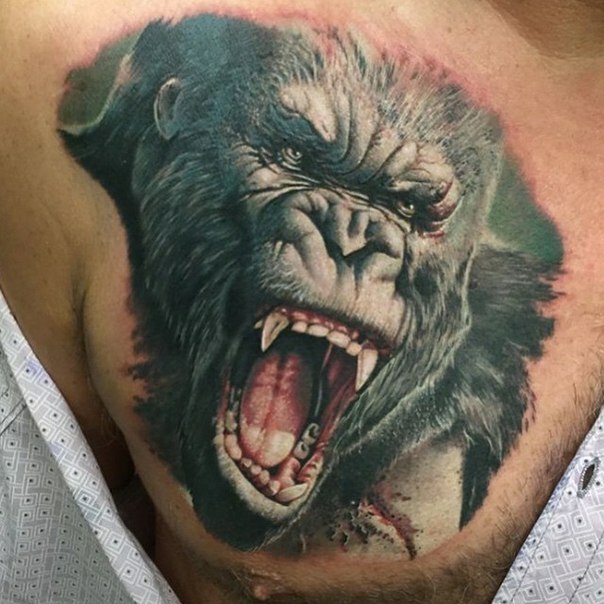 Oftentimes, people get inked to get a visual representation of what they really are, some want to get motivated with inspirational quotes, others adorn their bodies with tatts of scary monsters to intimidate everyone out there. But what about geeks? 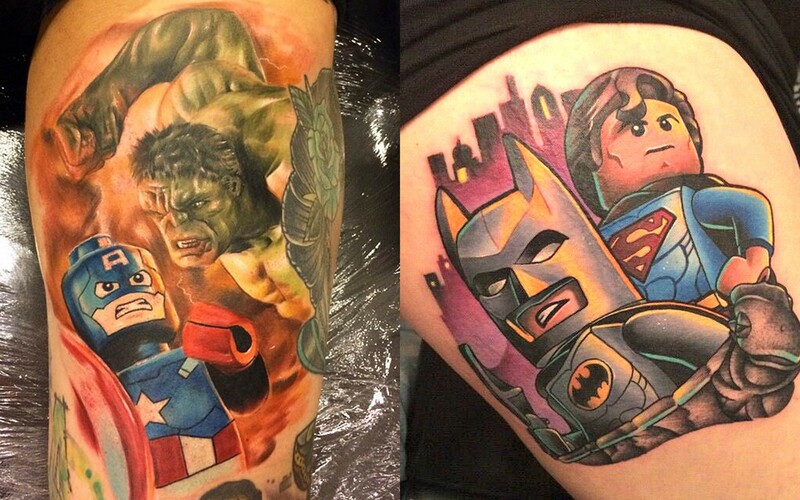 Millions of gamers, comic book and movie fans also want to pay tribute to some of their favorite characters. These characters made such a huge impact on their lives that they became worthy of being inscribed into the flesh forever. 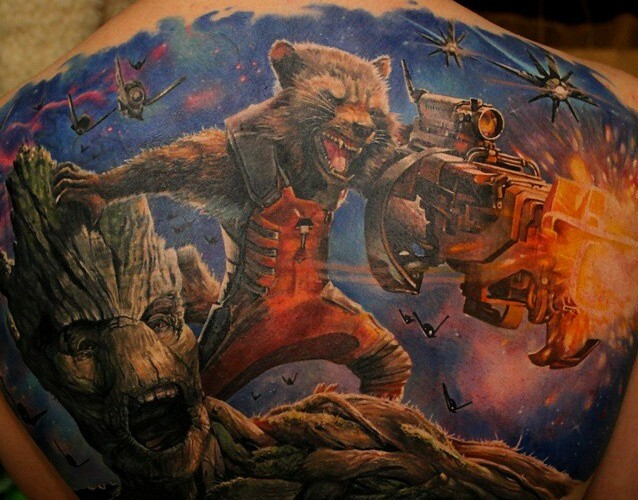 Take a closer look at the most impressive movie-inspired tattoos ever inked! There has indeed been an awakening and hundreds of millions of fans have felt it. The geeks already saw quite a lot of vivid characters in the previous installments of the franchise. We've seen an endless amount of Vader, Yoda and strormtroopers tattoos. All of them are very impressive tattoos, but for the first time in 10 years we got some new characters. so let's focus on the newest movie in the franchise and feats our eye on these masterpieces. His own movie has just been released and people are already going crazy. Check out the one and only Merc with the mouth – Deadpool. Mr. Pool is the an amazing mixture of hilariousity and over the top violence. Nobody wants to hang out with Captain America, right? Deadpool, on the other hand, is the guy you want to party with! Sure, he’s a loose cannon, but he’s a likeable lose cannon. 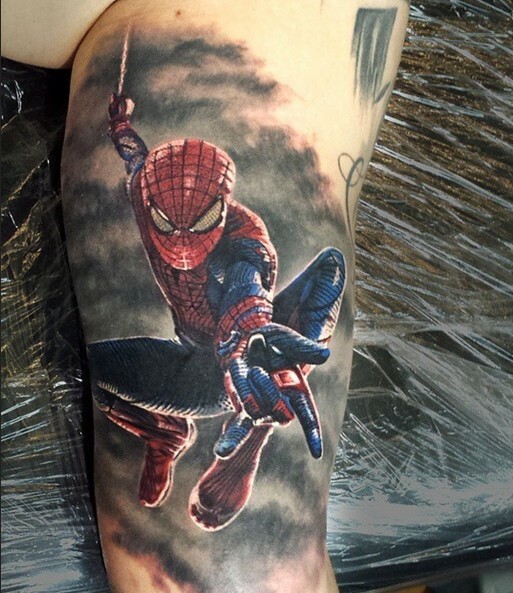 No wonder so many people got this anti-hero inked. Is it a bird? Is it a plane? It's Superman! Superman is considered to be the most recognizable character in the history of pop culture. So it makes no wonder that his symbol, or the many actors who reprised the role of a DC character find him as an inspiration. Supes is an example for so many people to follow. He stands for justice, freedom and the American way! He maybe a godlike super powered being from another planet, but he also grew up in Kansas (I guess). And occasionally he levels entire cities and breaks necks, but who’s perfect? The world's greatest detective is obviously everyone's favorite. One more proof that you don't have to be exposed to radiation, be an alien or have a magic ring if you want to be a superhero. All you really need is tons of money. Not to mention that Batman managed to conquer his fear and turned it into a driving engine of his superheroing. Mel Gibson's Mad Max had a huge cultural impact, but Tom Hardy blew our minds when he played the iconic madman. The newest Max is not nearly as crazy as the old one, but he is incredibly charismatic. Thus, the tattoos. Harry Potter the boy who lived and got children into reading again. He also made wait that someday an awl would arrive and bring that long-awaited Hogwarts invite! 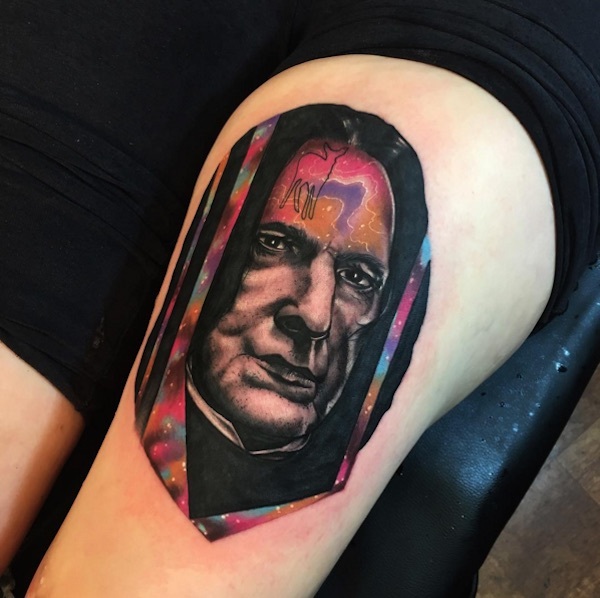 We have seen countless tattoos depicting Harry, so let's dilute the gallery with another iconic character. Do you consider yourself Earth's mightiest hero? Do you feel like if you fail to protect anything, you will at least make sure you'll avenge everything? 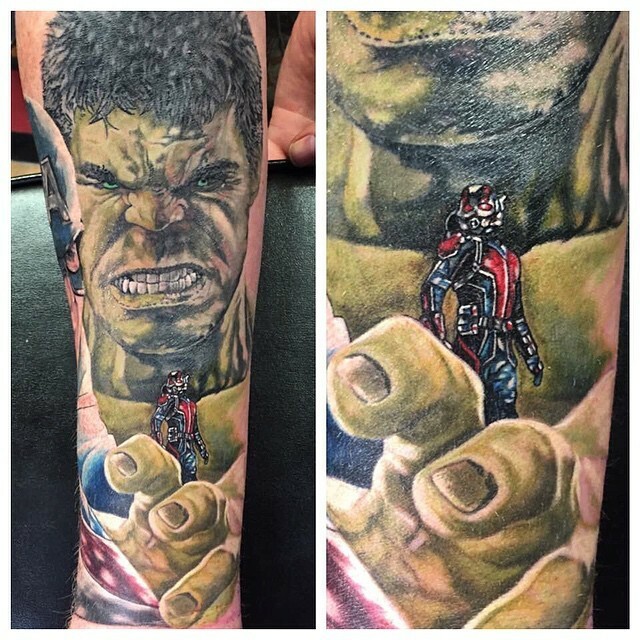 Well, Marvel's Avengers tattoos are your choice. Yeah, sure, Ant-Man sounds a little bit ridiculous. But if youreally think about i, any other superhero name is equally funny. By the way, "Iron Man" was already taken. This guy proves that a tiny bug-sized dude can be a huge superhero. It was a heartwarming movie that audiences mistakenly took for a kids flick. This emotional film made grown-ups weep. 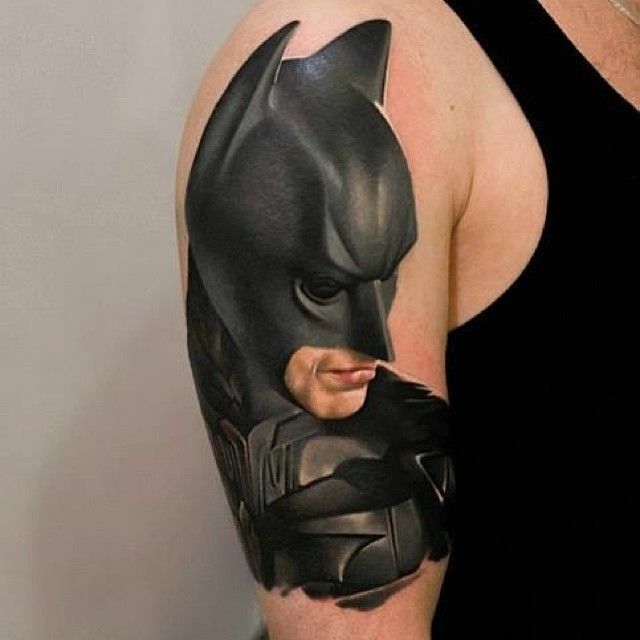 And the most affected by the movie got inked. This movie made us laugh until we cried the tears of joy. This what Star Wars could've been if they were fun. The last of his kind, very lonely, very powerful! Take a closer look at the one and only – King King, nuff said. If you feel that you're a natural-born leader. 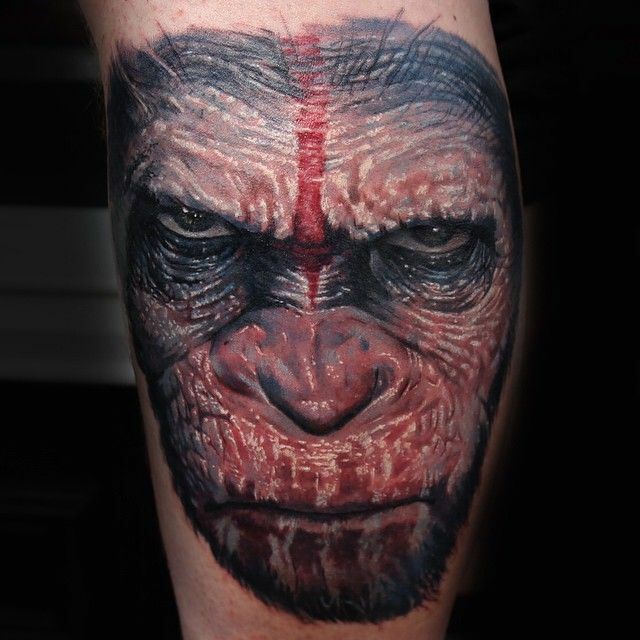 That nothing is more important that home, family and future, you have to get Caesar inked somewhere on your shoulder. He's the best there is at what he does. And all he mostly does these days is being insanely popular! This masked vigilante is probably the hero that most of us can truly relate to. He's struggling to pay rent, he's got terrible boss and doesn't always get lucky with ladies. So, apart from being an awesome superhero, he's still a human being.